Australia’s first Master of Wine Michael Hill Smith holds many roles, from wine producer, judge and consultant to occasional writer and robust Australian wine advocate. Destined to work in wine from birth, he tells us how education and inspiring role models led him to reach beyond the family business. Coming from an Australian wine dynasty, did you always know you would end up with a career in the wine world? Despite a love of wine, I always had reservations about joining the family wine business. Luckily the great Len Evans was able to show me I could have a wine life outside of the family company. It was Len who encouraged me to be a wine judge and further encouraged me on a pathway to Master of Wine. Nonetheless you would have thought that after six generations I could have shown a bit more imagination and found something else to do! Australian wines have become hugely popular globally. Where should the Australian wine market focus their efforts from here? Yes, Australian wines are hugely popular globally but most importantly they are exceptional wines in an international sense. The challenge is to show the world just how exciting, diverse and outstanding the best of Australian can be. Fabulous Riesling, savoury and refined Chardonnay, ethereal Pinot Noir and Shiraz that range from perfumed and spicy cooler climate styles, to the concentration and might of the Barossa. Having completed your WSET Diploma in 1985, you became Australia’s first Master of Wine just three years later. In which of your current roles has your formal education helped the most? Whilst completing the WSET Diploma was an entry requirement for the Master of Wine it proved to be much more than that. WSET taught me in detail about wines and regions outside of Australia and this global approach made an invaluable contribution to my overall wine literacy. You were one of just four nominees worldwide for the WSET Outstanding Alumni Award 2017. 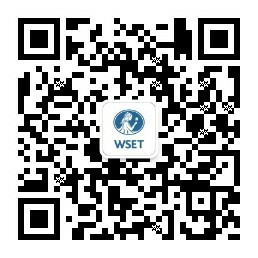 Which other WSET graduates do you think are making outstanding contributions to the industry? An impossible question. There are so many talented WSET graduates singling out a few seems unfair. I am however continually impressed by the likes of Jancis Robinson, the much beloved Gerard Bassett, Jeannie Cho Lee in Hong Kong, the ever-urbane David Gleave from Liberty Wines and David LeMire who works with me at Shaw+Smith. Where to start - where to finish?